The Power Point presentations for two Color Management workshops presented by Igor Ridanovic at 2013 Entertainment Technology Expo in Burbank, California are available for download below. The proliferation of file based camera formats over the last decade has introduced entirely new color management concepts into a once straightforward editorial color pipeline. Color management has been around in a simpler form since the dawn of television, but it’s been hidden from sight until recently. This introductory level session covers the basics of color management and LUT concepts for post production and demystifies the subject in a straightforward way by looking at the fundamentals not tied to any particular software. Instead of focusing on math behind the color, we will use simple nontechnical analogies drawn from our everyday visual experience. Attendees will gain an understanding on how to maintain cinematographer’s or graphic designer’s color intent all the way through post production process so they may achieve higher color uniformity. Video and file based capture to Media Composer has been straightforward for a long while. 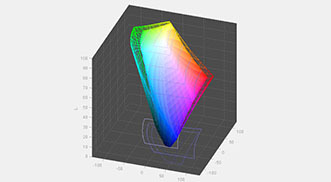 However, many of the recent camera formats record picture with gamma and color spaces that do not fit within the traditional Rec. 709 or sRGB capture methods. Assistant editors have been increasingly required to capture material from such non-Rec. 709 compliant file sources sometimes resulting in a less than satisfactory color appearance. With Media Composer version 7 Avid has introduced LUT (lookup table) support to address many common digital camera formats and ensure consistent color reproduction during the editorial stage. In this workshop editors and assistant editors will learn how to correctly maintain the color intent when capturing or AMA linking the new camera files. Attendees will also refresh the legacy graphics capture and the basics of built-in scope operation.